Need to travel from the Orlando International Airport (MCO) to a destination in Orlando? Need to travel from the Orlando-Sanford International Airport (SFB) to a destination in Orlando? 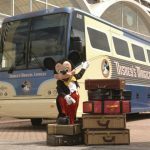 Are you booking Orlando transportation for your client? Submit a reservation request here. Taking a cruise out of Port Canaveral? Need transportation from the Orlando Airport to Port Canaveral? Why choose us for your Orlando Airport Transportation? Families from around the world come to Orlando to experience Disney and other various attractions in the Orlando area. We pride ourselves on being the most professional, family-oriented airport transportation service in Orlando. We even offer a free twenty minute grocery store stop for you and your family. Since 1995, Murray Hill has been the most highly rated transportation service in Orlando. Going on a family vacation or a business trip to Orlando? Be assured that Murray Hill is the most established, professional, and trusted Orlando airport transportation service. With 22 years of service, you can count on us! 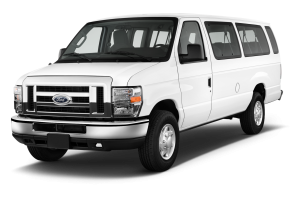 What Orlando areas does Murray Hill Transportation service? We are less expensive than Uber, Lyft, or a taxi! We will be your first contact during your vacation in Orlando. With that in mind our commitment is to assure you that your Orlando vacation starts off the right way. If your flight is delayed or your luggage is lost, or even if you forgot something on the plane our drivers will guide you in handling all situations. The drivers have been working at the Orlando airport for years and know many of the employees who work for the airlines and airport. Having a great vacation means getting off on the right foot, so allow us to help make it as easy as possible. Don’t forget about our FREE 20 minute grocery store stop! Need to stock up on groceries for you and the family before your magical Orlando vacation begins? Murray Hill Transportation is happy to bring you to the grocery store for twenty minutes on the way to your hotel. 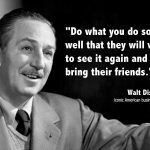 We go out of our way to ensure that our clients are comfortable and ready to enjoy all that Orlando has to offer. In a hurry? Call or text (407) 948-7809 to make a reservation. We’ve been to the Orlando area many times and this is the first time we have used a service like yours. I must admit I was a little bit leery of what to expect. Troy was our driver/guide while we were there and he was exceptional. He was very personable and his local knowledge was very helpful. The whole experience was wonderful and I wouldn’t hesitate to use your service again. I would highly recommend it to anyone that is traveling to Orlando. I wanted to let you know how happy we were with your service. It is the fifth time we used MH and you have never disappointed us. I especially wanted to praise Karina, who help us with our prescription emergency. She and MH worked with us to get my son’s medicine refilled as part of our 20 minute shopping. I recommend your service when ever I get the chance and will be contacting you when we make our next trip. This is the second year in a row that we have used your services and again they were excellent. We will use you again on our next trip. Karina was our driver. She took us from the Orlando Airport to Caribbean Beach Resort at Disney World and a switch mid-week to the Hard Rock Hotel at Universal , then back to the Orlando Airport. She was always prompt, courteous, and pleasant. Please tell her thank you again. Hope to see you next year. Learn More About What Orlando Has to Offer! Talk about customer service !!! Our pick-up back to the airport was four hours early ! Still have a question or need help making a reservation? Please click below to contact Johnny or Marie. Running Late? No Time to Schedule? If you don't have the time to fill out the reservation form just give us a call from the Orlando Airport and we will have a driver meet you within 15 minutes of your call. Call or text (407) 948-7809.